BVEStation Network News / The R44 for openBVE has been released! After being under development for a long time, the R44 for openBVE is finally released! 2009, 1989, and 1972 versions are included in this package. BVEStation Network News / Notice for all developers, especially those developing for Hmmsim and Hmmsim 2! Everybody who is creating routes and trains, especially for Hmmsim, please read the following forum post! Lately, I've noticed a lot of downloads being posted to the site that have some quality control issues. I'm so glad that you guys are pumping out new content, but PLEASE, follow the below guidelines before posting downloads to the site. Any downloads not following these guidelines will be deleted, and a notice will be sent to you requesting you to re-upload the content correctly. Remember, thousands of people go to BVEStation for their openBVE and Hmmsim content. Lets ensure that they have a top notch experience. Thanks guys, and keep doing what you're doing! This is VERY important. The downloads section has been flooded with countless Hmmsim downloads. I absolutely love Hmmsim, but content for the program has made it hard to find the openBVE stuff. I have removed the Hmmsim content from the site so it stops cluttering the downloads section. I would like the people converting routes to Hmmsim compile one large .zip file, which has all the routes and trains in it. This would allow people who want openBVE content to easily find what they want, while allowing Hmmsim users to keep the ability to download their content. Also, please test the content on your phone to ensure it works before uploading it! This is very important! Please, provide accurate descriptions, with no spelling and grammar errors, explaining exactly what the add on is. Also, use simple thumbnails that are not visually obtrusive. For fictional routes, please include a subscript below the route bullet saying "Fictional". Additionally, if you are releasing a non-fictional route, please send me a PM first before doing so. Test your Content before Releasing It! PLEASE, test the download before releasing it to make sure it works. This is VERY important. Once you create a .ZIP file with your content, please test the whole process of opening it, installing, and running the route/train to ensure everything works. If you are having any issues getting your content to upload correctly, please send me a PM, and I will see what I can do to handle the situation. Thanks again guys! I appreciate all of the hard work you're doing. BVEStation Network News / The BETA R line to 95th Street has been released! After a very long wait, just in time for Christmas, the R line to 95th Street has been released! NOTE: This route is a BETA, it starts from Astoria-Ditmars Blvd, and runs over the Manhattan Bridge to 95th Street. There will soon be a release of the full R (Both directions), with multiple scenarios after the Q is released. Again, this is a BETA release. The route is not finished yet. Photography / [HD] VIDEO: D Type Action Today at the Party on Wheels! D Types in Action today! Lots of RFW, platform, and in-car footage! Thanks to all who bought tickets for the event today to support the restoration of these cars! Transit / NYTM EVENT: "Stump the Buffs"
NYTM Buff Stumping? Is everybody aware of this event at the Transit Museum? This June marks two important anniversaries for New York’s transit system: the 75th anniversary of subway unification, and the 100th anniversary of the Brooklyn-Manhattan Transit Corporation (BMT). In celebration of these milestones, the Transit Museum brings together three of the country’s top subway history and equipment experts to talk shop and answer your toughest questions. With over 100 years of combined research and expertise, our featured “buffs” include Joe Cunningham (New York Power), James Greller (Subway Cars of the BMT), and Joseph Raskin (The Routes Not Taken). Then, get an up close look at artifacts from the original BMT stations. Our Curatorial and Collections team brings out objects from the Museum’s permanent collection. Can’t get enough of the BMT? 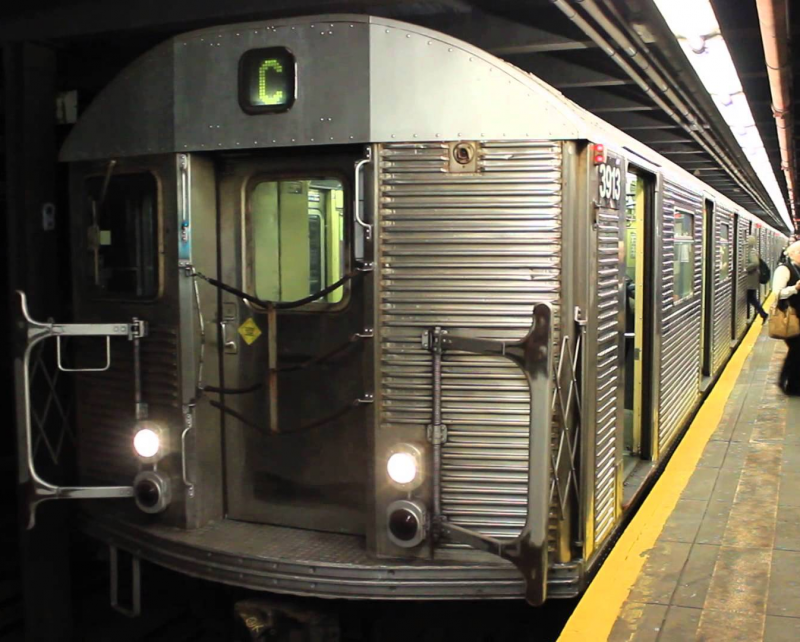 Explore vintage D-Type Triplex subway cars dating back to 1927, originally purchased for service on the Fourth Avenue Local. BVEStation Network News / The NYCTA D Line has been Updated! BVEStation Network News / The Updated R32 GOH for openBVE has been released! BVEStation Network News / The R30 GOH Redbird for openBVE has been released! The R30 GOH Redbird has been released! We've got some really exciting news for you guys! Mr Railfan and I have been hard at work in the last couple of months getting in contact with the NY Transit Museum to showcase OpenBVE. Now, we are pleased to announce that people will be able to play NYC Subway routes in OpenBVE at the transit museum on Saturdays this summer, starting this Saturday, July 5th! Note that the event starts at 2pm and runs until 4pm, it does not start the same time the museum opens. We've got a couple treats in store for those who come. 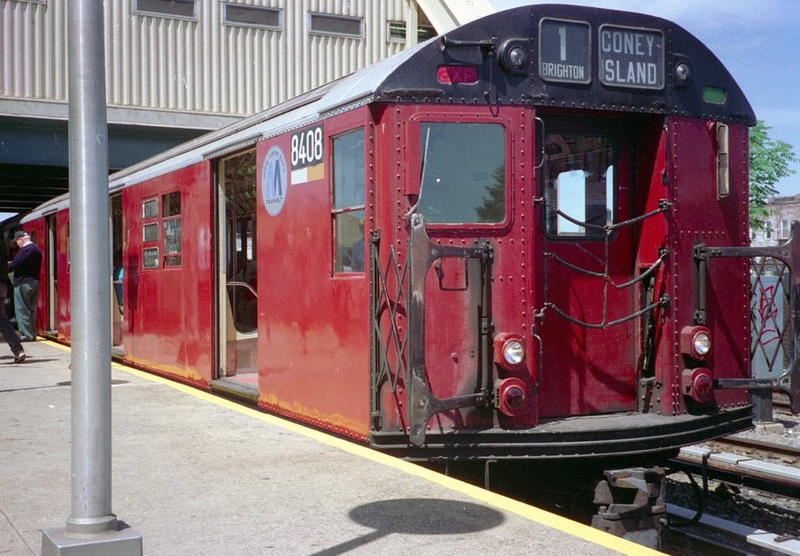 Notably, a preview version of the updated Q line to Coney Island will be available to try out. If you're available, we encourage you to support the NY Transit Museum and make the trip to go and try it out! As always, please remember to be courteous; there will likely be young children itching to try OpenBVE for the first time. Just like the Railfan Window, kids first! Additionally, please consider donating to the NY Transit Museum so that they can continue to provide great opportunities such as this! BVEStation Network News / Spring Break Releases! The staff here at BVEStation hopes everyone is enjoying their Spring Break. We're releasing some train content for you guys to enjoy. The long awaited updated R38 has been released. This release features a fully 3D exterior with changeable animated signage and pivoting trucks. The train will be further updated in the summer as well. The R32 has also been updated, with a Post-SMS version that features an improved 3D exterior. Just like the R38, the train will be further updated in the summer as well.